Alcoholic drinks should carry cigarette-style health warnings to tackle a lack of awareness about the link between booze and cancer, it’s been claimed. Drinking alcohol is a well-established risk factor for a range of cancers and greater consumption increases your chances of developing the disease, according to the World Health Organization. A study by Cancer Research UK in 2016 found only one-in-10 Britons was aware of a link between booze and the deadly disease. 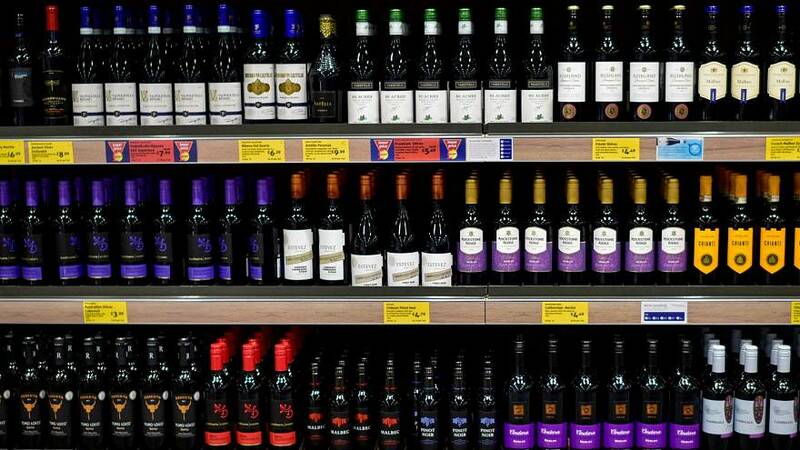 “People don’t know about the link between alcohol and cancer or obesity and cancer,” Professor Jane Dacre, president of the Royal College of Physicians, told Euronews. “Health warnings on products would help, so would education programmes. A minimum unit price is also something we are lobbying for. “It is getting urgent as we need to focus on prevention, not treatment. Dacre’s comment echo calls by the Royal Society for Public Health (RSPH) earlier this year to introduce cigarette-style graphic warnings on alcoholic drinks. It also urged the inclusion of nutritional information — mainly in the form of calories — to help moderate consumption and harm. Europe’s alcohol industry earlier this year published proposals that included providing the dietary details online, accessed either via a QR code on the side of the product. In some cases, it added, the information would be written on the side of the bottle. “We are presenting an approach that is serious, flexible, and scalable,” said Spirits Europe in a statement. “Over the next four years, we will fully support our members in their efforts to provide nutrition and ingredient information. But Shirley Cramer, RSPH’s chief executive, said: “The truth is the overwhelming majority of people will not follow a QR code on a label, especially if they are not already health-conscious or digitally literate. “The alcohol industry knows this, which is why the proposal announced today amounts to nothing more than hiding, not providing, information to consumers. Under current EU rules, food and drink companies have to provide ingredient and nutrition information, but alcohol products are currently exempt. “Alcohol consumption is the single biggest cause of liver disease in the European Union,” said Professor Helena Cortez Pinto, from the European Association for the Study of the Liver. “It’s ridiculous that a carton of milk has product labelling but not a bottle of spirits.